Looking to maximise the potential of your data? If you are a data owner and are looking to generate incremental revenue and want to keep your database clean and active at no cost we can help. 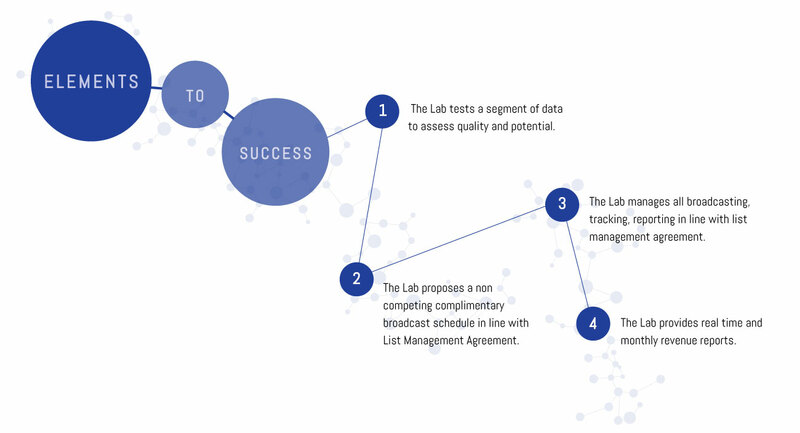 The Lab has access to every email offer in the UK and will select those that are best suited to your database without impacting your business.